Made of good grade stainless steel and hard wood ,the bbq tong is consist of slotted spatula helps you cooking more convenience. The slotted spatula also settle a bottle opener to open the beer can.This easy to use product has two prominent features. You can either use this product as tongs or separate the two pieces to make 2 individual spatulas. Equipped with an ergonomic handle, the tongs ensures a secure grip making the spatula tongs efficient and comfortable to use. 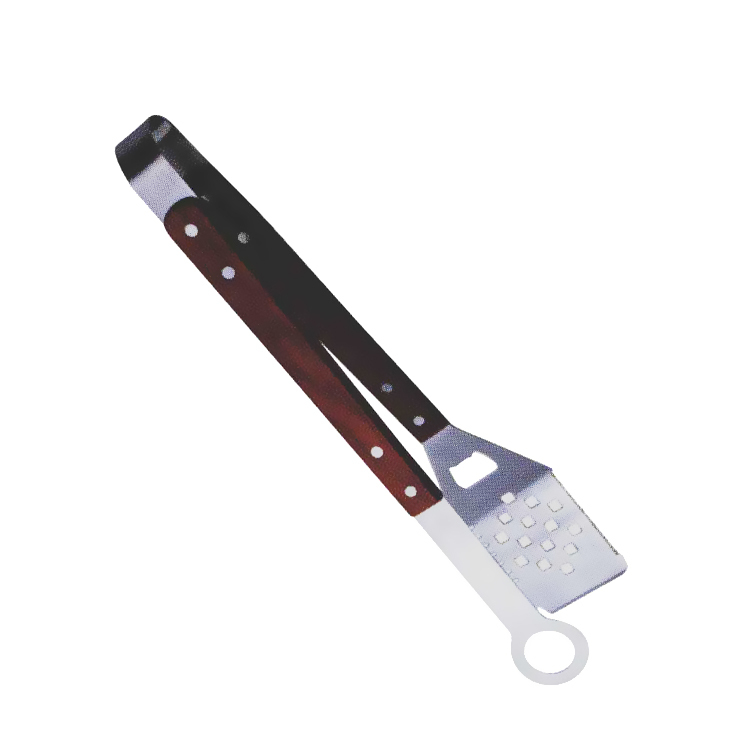 Looking for ideal 2in1 Spatula Tongs Manufacturer & supplier ? We have a wide selection at great prices to help you get creative. All the Spatula with Bottle Opener Tongs are quality guaranteed. We are China Origin Factory of Slotted Spatula with Bottle Opener Tongs. If you have any question, please feel free to contact us.